A few days ago we introduced you to Diagram Maker, an easy to use tool to help students learn visually. 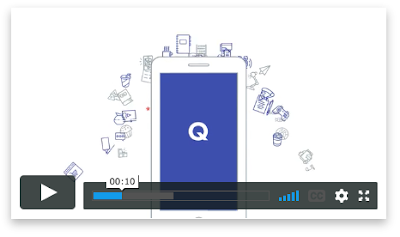 Today we are sharing with you another great tool from Quizlet called Quizlet Learn. This is an application designed to maximize students learning by building adaptive study plans customized to their own individualized learning needs. Quizlet Learn also helps students stay motivated by updating them on their progress. It sends regular study reminders to keep them on track. ‘Quizlet Learn is powered by the Learning Assistant Platform, which uses machine learning to process data from millions of anonymous study sessions, and then combines that data with proven techniques from cognitive science. By understanding how people really learn, this powerful platform drives studying that's more effective and more efficient, by only showing students material they need to learn — and making it fun at the same time.’ Quizlet Learn is available for download from both iOS and Android app Stores. Watch the video below to learn more about Quilt.